The historic Manor House on Doolhof Wine Estate in Wellington in the Winelands, dating back to the early 1700s has recently been restored to its former Cape Dutch elegance and now houses 6 individually designed and appointed en-suite bedrooms, offering 5 star luxuries and service. 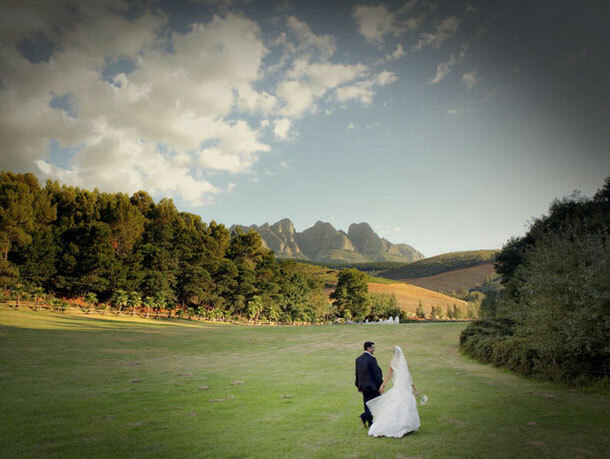 We invite our guests to experience the mystical Doolhof Valley. When entering the romantic country road leading into the Estate, visitors are surrounded by breathtaking mountain scenery, vineyards and mysterious forests. The gates with the great “D” lead past manicured horse paddocks and rows of white roses, revealing the beauty and elegance of the Estate. While your most memorable moments are captured an aperitif with a tantalizing selection of canapés is served and your guests are invited to take a stroll down to the river or into the vineyards. Alternatively we can arrange for a private wine tasting of our award winning wines. A variety of venues for the ceremony, a formal reception or cocktail function are available for the couples to choose. Be it an intimate celebration for two or a cocktail function with 180 guests we can provide you with the venue of your dreams. 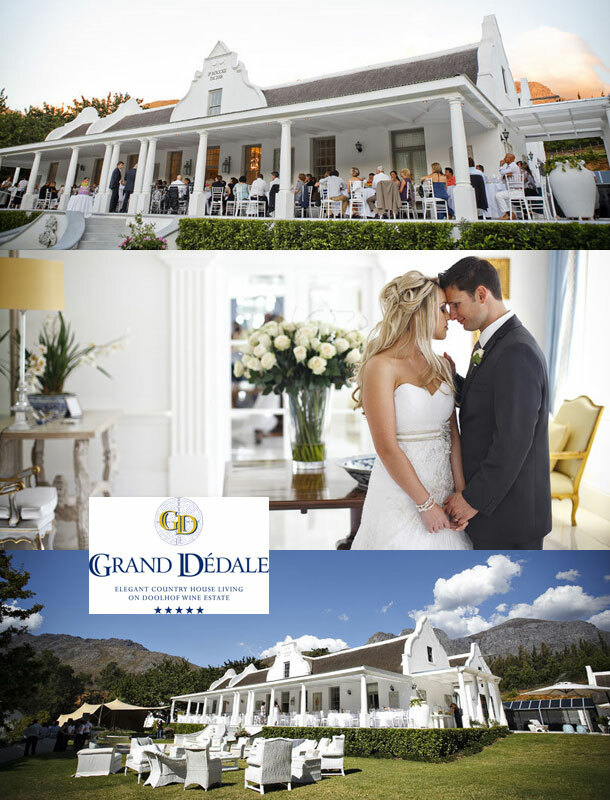 To book your wedding at this gorgeous venue contact Tina and her team on +27 (0)21 873-4089 or for further information or to send an enquiry visit Grand Dédale Country House.